Dienten is a pleasant mountain village in the middle of the skiing area of Hochkönig, which stretches from Mühlbach to Maria Alm. This medium-sized skiing area includes 150 km of skiing slopes and is centrally located between the well-known skiing areas of Saalbach-Hinterglemm (40 km), Flachau (35 km) and Bad Gastein (35 km). The location is also perfect for summer holidays. The beautiful surroundings boast numerous walking and mountain biking trails of various levels. The apartment was built in 2016 and is situated in a higher location in the village. Restaurants and supermarket are within walking distance and the ski lift is 300 m from your front door. 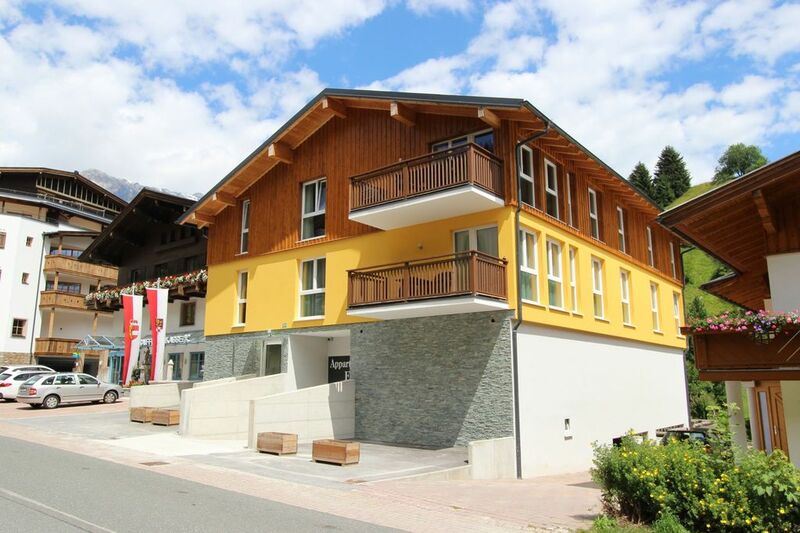 (the ski bus stops in front of the door) With its three large bedrooms, three bathrooms, spacious living room and fully equipped kitchen, this new apartment is very suitable for two families or a group of up to 12 people.